Microsoft is going to preview Windows Vista security features during Hack In The Box Security Conference in Malaysia. Microsoft plans to give a hacker conference in Asia an inside look at new security features on Windows Vista later this year, the organizer of the event said Tuesday. The company’s commitment to show off Vista to the hacker and security community is part of a long-term trend aimed at gaining greater feedback from users prior to product debuts. More and more software and hardware vendors are trying to weed out vulnerabilities before products go to market, and they often turn to the underground and above ground security community for advice. “Companies know that fixing vulnerabilities in already released products is always going to be much more expensive than finding and squashing them during the development stage,” said Dhillon Andrew Kannabhiran, organizer of the 6th annual Hack In The Box deep knowledge security conference (HITBSecConf2006) set for Kuala Lumpur, Malaysia in September. 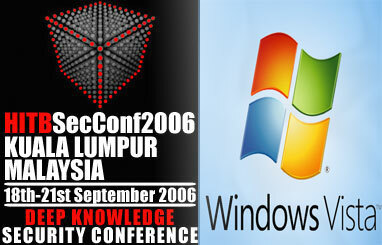 Register HITBSecConf2006 conference at only the price of RM499 and RM200 for student. Have you patched your server lately? Have you upgraded your WordPress application lately? Did you run cvsup on your FreeBSD machine last weekend? No? Not yet? Do you know the ‘Hack In The Box Security Conference’ for year 2006 is ready to roll? No? HITBSecConf06 is ready to explode on 18th September – 21st September 2006 in Kuala Lumpur, Malaysia. 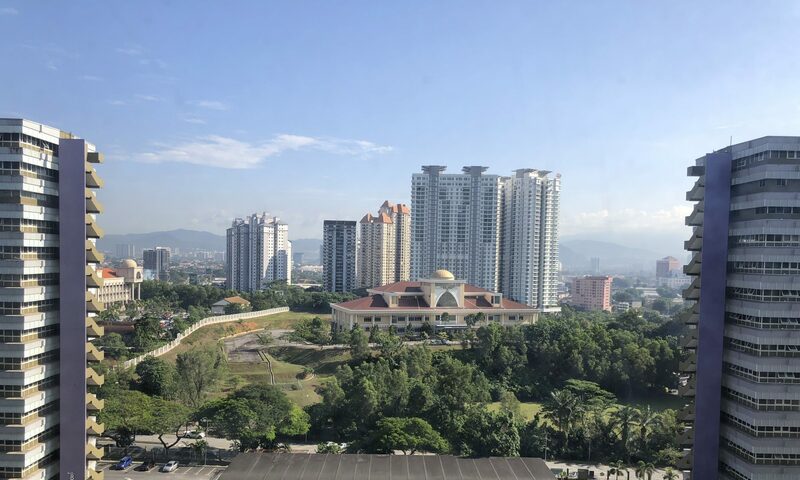 The largest security conference in Asia. Have you practised your hacking skills to capture the flag hacking competition? If not, it’s not too late, set-up your team and start practising. Conference tickets will be available soon. Ever wonder how successful the 2005 conference was? check it out. Stay tuned for more info, which I am going to blog from time to time till the conference day or check HITBSecConf06 office website. I have created a HITBSecConf06 side banner(displayed on left). publish it on your blog and link it to the HITBSecConf06 official website. Spread it, just like how you spread the Firefox browser ;).